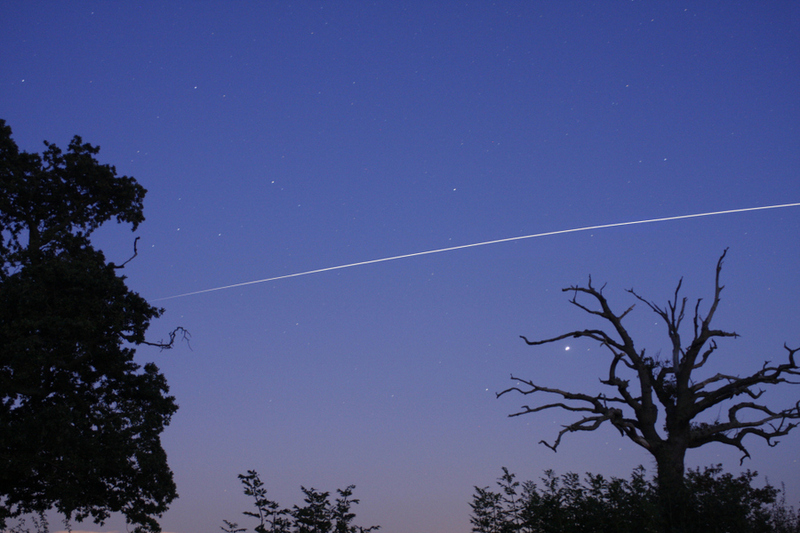 Another series of evening passes of the International Space Station over the UK starts on Wednesday, 21 March, and continues until 7 April. Trail of International Space Station through the sky. The trail fades as it moves towards the east as the station moves into the Earth’s shadow. This is a great opportunity for photography, and also for showing off your predictive powers to your friends and family. To find out how to get predictions for your own location go to our help page: https://www.popastro.com/main_spa1/predicting-the-iss-and-other-satellites/. The next series of evening passes over the UK takes place from mid May until the first few days in June.